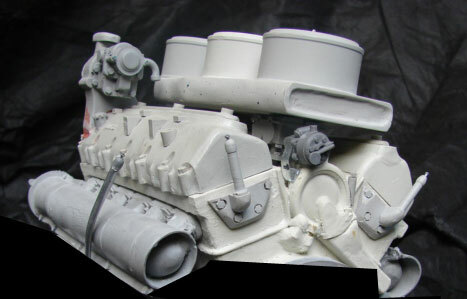 New tooling Resin Early Tiger I hull mounted S mine canister set. Set includes enough parts to equip one early Tiger 1...$35.00 each set. Resin Tiger I lower hull shock absorber detail plugs set. 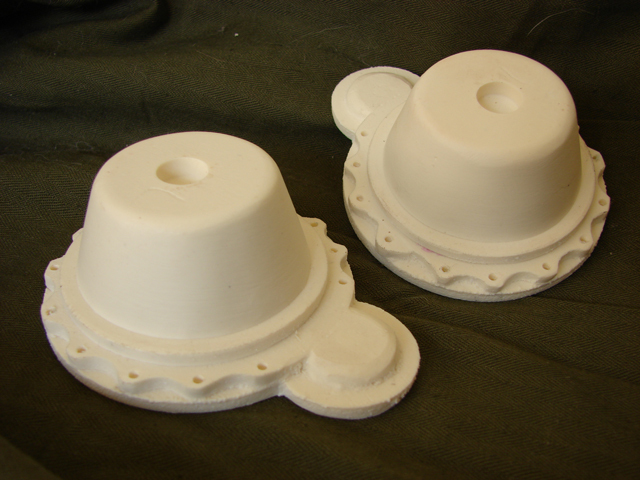 Set is designed to simulate the side hull shock absorbers mounting plug. Set is designed and is sized to work with the Armrotek tiger I kits, but will also work on any 1/6th scaled Tiger I tank... $6.00 each set. 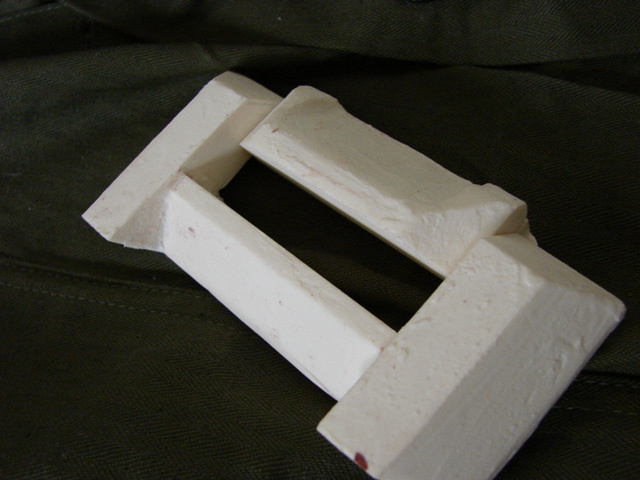 German AFV canvas gun muzzle bag. Bags are hand made in the USA and are offered in three colors. Your choice of green, Dark gray, and Dark Yellow...$30.00 each. 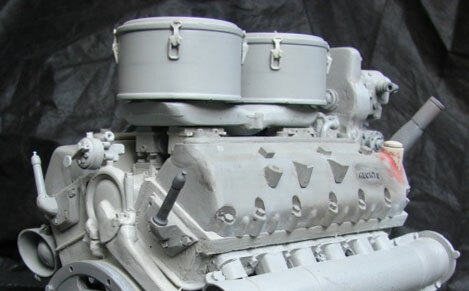 Resin and metal HL210 Tiger I engine bay accessory set. 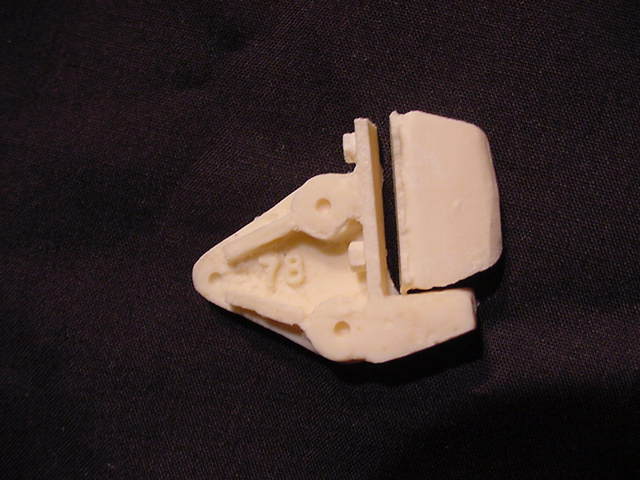 Set contains resin and metal components to hook up the Maybach HL 210 in a tiger I engine Bay. Set includes fan gearbox, fan gearbox mounting equipment, Fan drive clutches, fan oil dip stick , radiator / cooling plumbing, electrical boxes, engine bay vents, control rods and hose clamps (many of the parts are not pictured), Snorkel equipment not included...$60.00 each set. 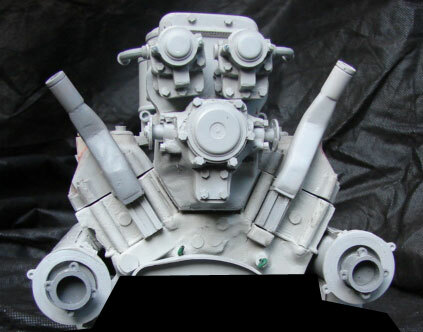 Resin and metal HL230 Tiger I engine bay accessory set. 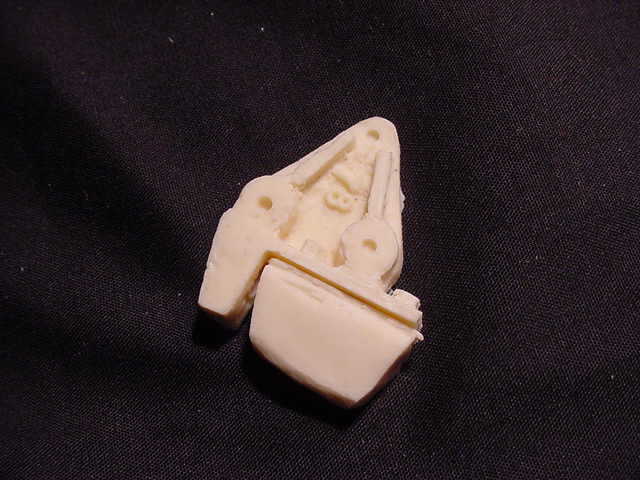 Set contains resin and metal components to hook up the Maybach HL 230 in a tiger I engine Bay. Set includes fan gearboxes, fan gearbox mounting equipment, fan oil dip stick , radiator / cooling plumbing, electrical boxes, engine bay vents, control rods and hose clamps (many of the parts are not pictured)...$60.00 each set. 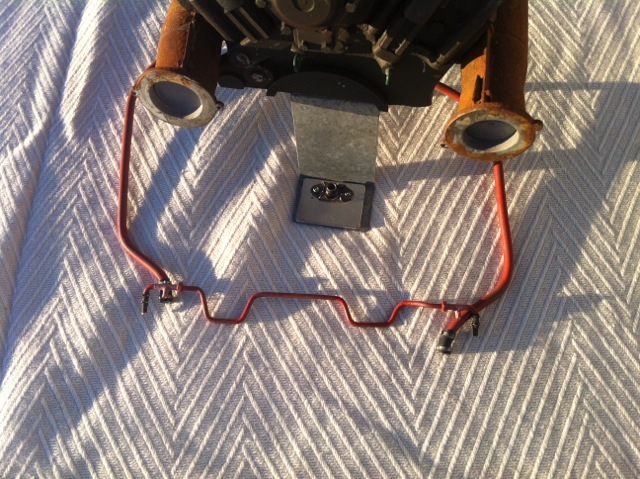 Resin Tiger I static dummy torsion bar swing arm set. Set includes 16 pre drilled resin swing arms. 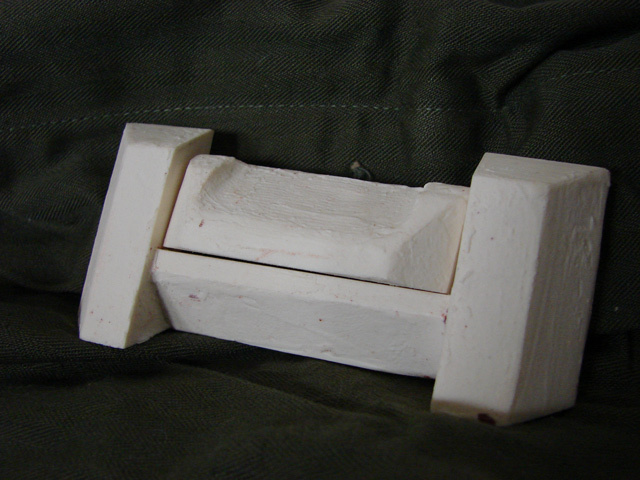 Set is designed to dress up the hull of a static FOA tiger and are not designed to be functional...$54.00 each set. 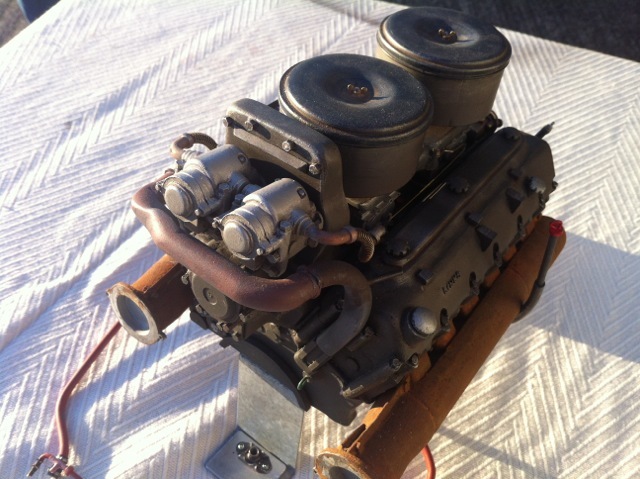 Maybach HL 230 P45 V12 engine Pre built Model. 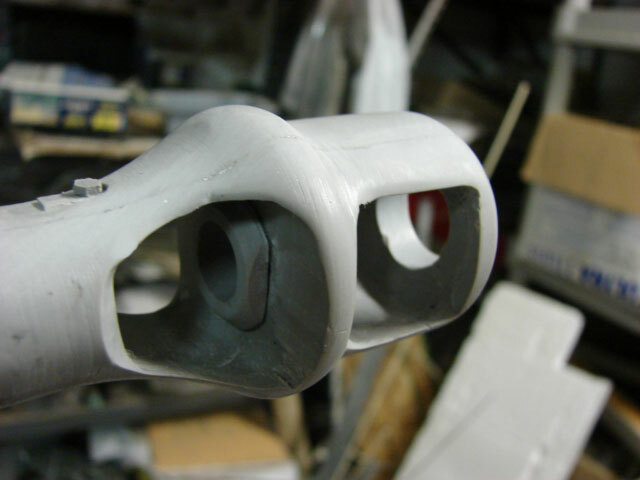 Each engine is custom built for order and is all hand built and painted. Maybach HL 210 P30 V12 engine pre built model. 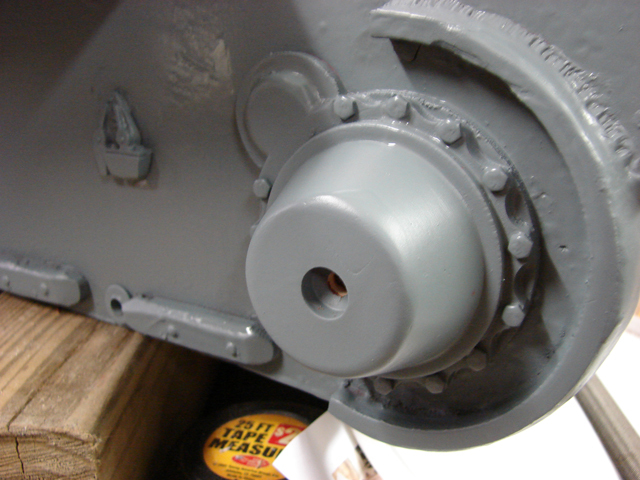 Each engine is custom built for order and is all hand built and painted. Maybach HL 230 P45 V12 engine complete kit. 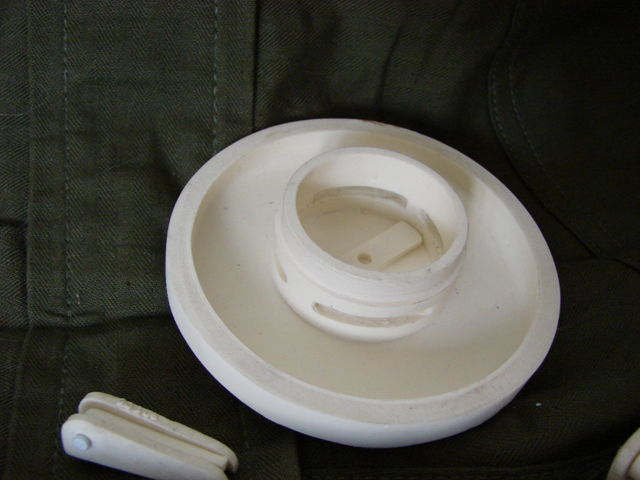 Kit contains over 80 resin and metal parts to assemble one HL230 Engine. 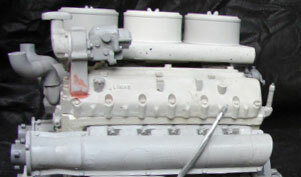 These engines were common on Mid / Late production Tigers. Kit is designed for experienced modlers...$650.00 each kit. Completed pics courtesy James Tseliki *note This model maker made several modifications to the stock ECA kit, some of which are not included with the supplied kit. Maybach HL 210 P30 V12 engine complete kit. 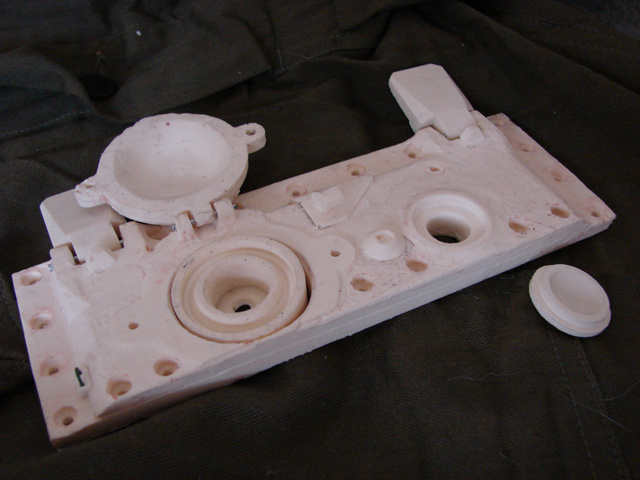 Kit contains over 80 resin and metal parts to assemble one HL210 Engine. 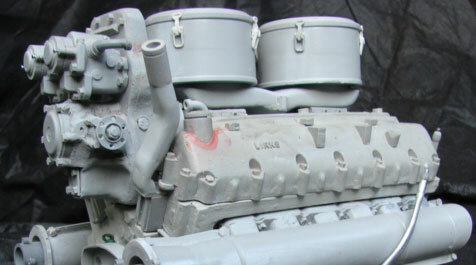 These engines were common on early production Tigers. Kit is designed for experienced modlers...$650.00 each kit. 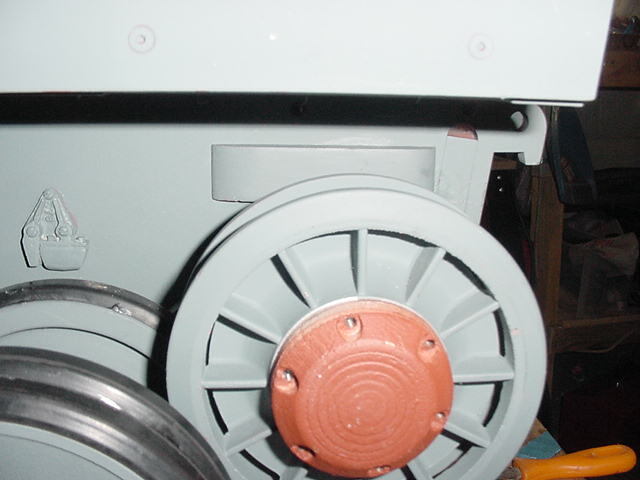 Metal initial Tiger I rear mud flaps set A. 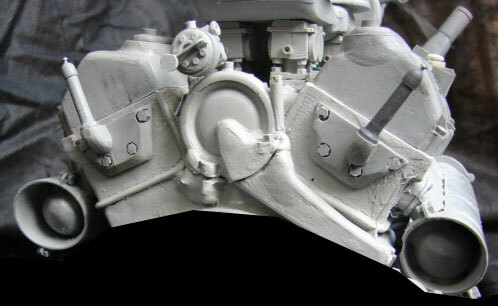 Set is deigned for very early initial production Tigers without side fenders. Set includes two sheet steel mud flaps...$100.00 each set. Resin early Tiger I wheels set. 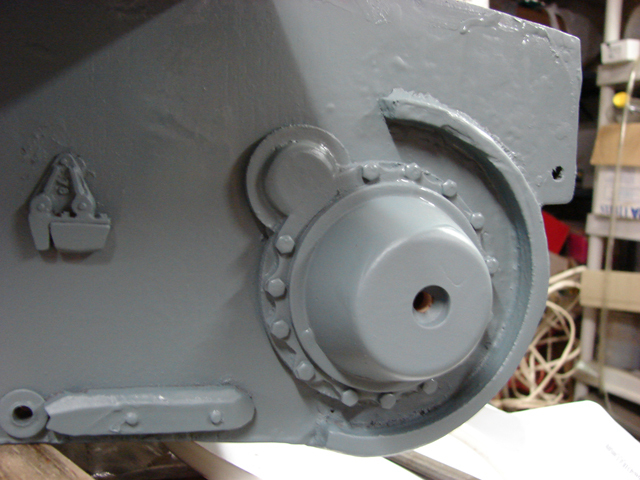 Set includes enough resin and metal components to equip one Tiger I...$750.00 each set. Resin Tiger I torsion bar swing arm set. Set includes 16 pre drilled resin swing arms and 32 1/4 inch steel shafts...$88.00 each set. Resin tiger I adjustable rear idler mounts set. 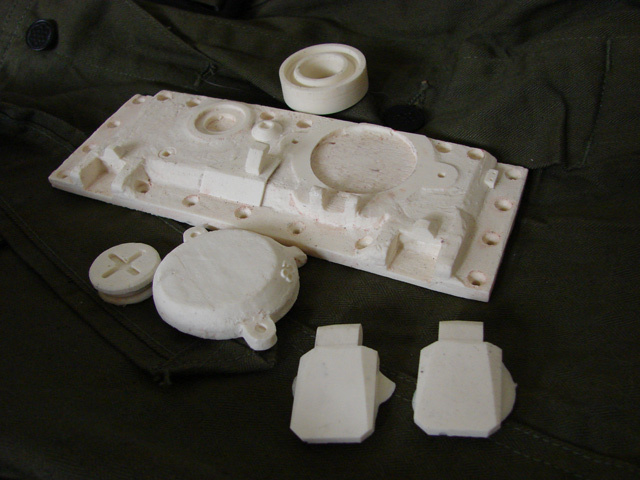 Set includes enough resin and metal components to equip one Tiger I tank. Set also includes two new tooling resin Tiger I track aligner set...$35.00 each set. Turned wood German AFV shovel replacement handle. will work on Dragon, and Armorpax shovel handles. 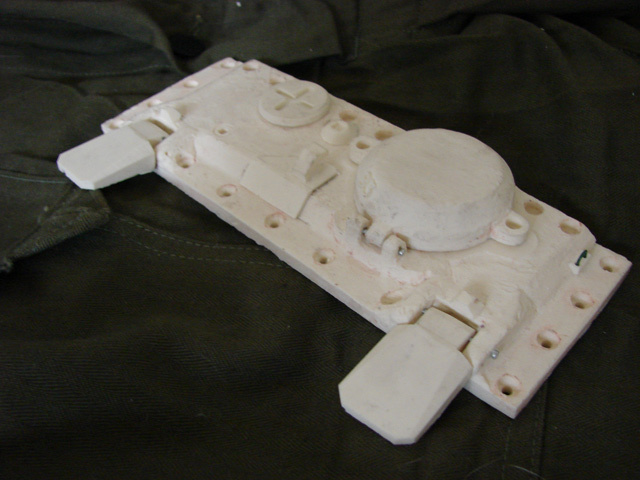 Resin and metal early tiger I loaders hatch kit. 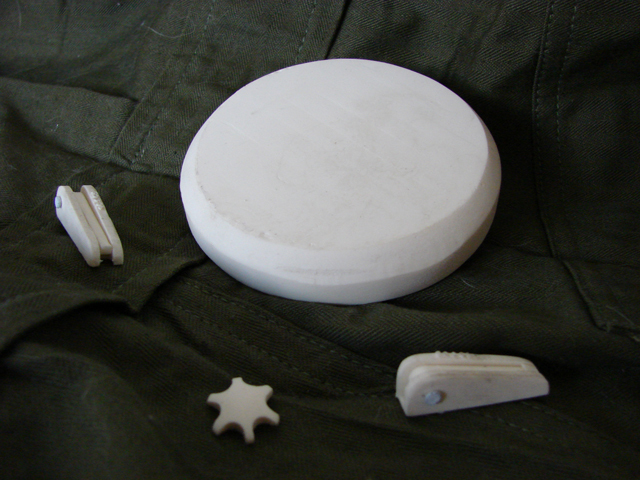 Kit includes enough components to assemble one loaders hatch....$55.00 each. Resin butterfly wing nut set. Set Includes 4 small wing nuts and 4 larger wing nuts....2.50 each set. 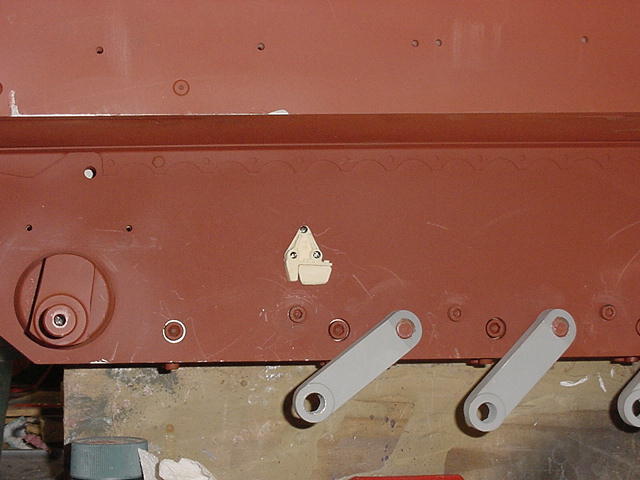 Resin non functional latch set. Set includes 5 latches....$5.00 each set. 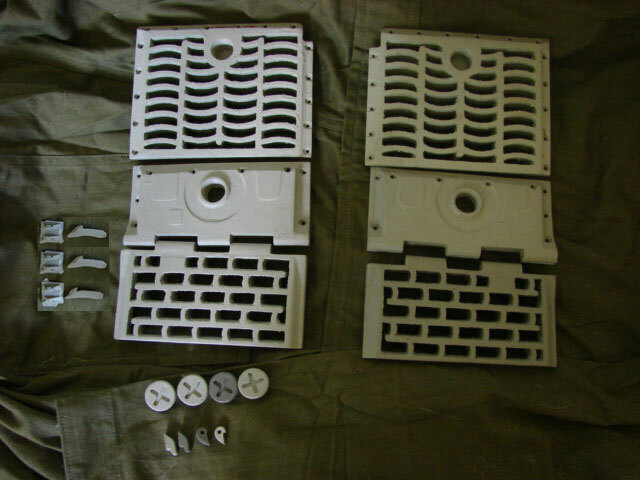 Resin Tiger I escape hatch kit....$25.00 each. Resin Tiger I Functional jack mounts set. 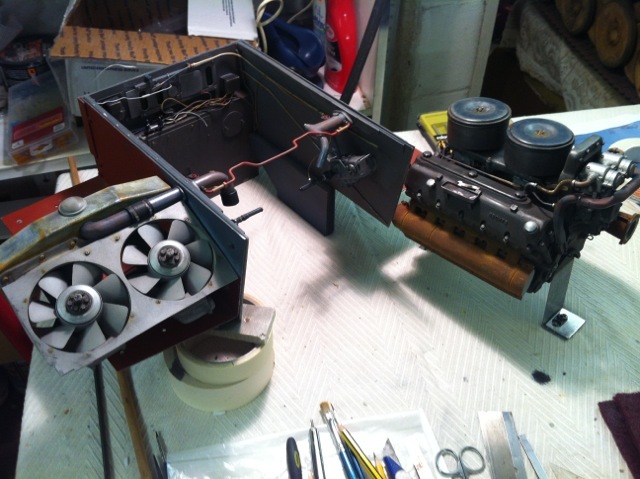 German AFV smoke discharger kit. Kit includes enough components for two smoke dischargers...$25.00 each kit.